Each year they concentrate on a theme within the genre. This year they examine the ‘borders’of street photography: where street photography meets documentary, art and conceptual photography opening the event to a much wider audience. An active effort is made to engage women and minority voices who are often underrepresented in the field. Whether you are a professional praticing photographer or an enthusiast who doesn’t even take pictures, STREET LONDON will not disappoint. 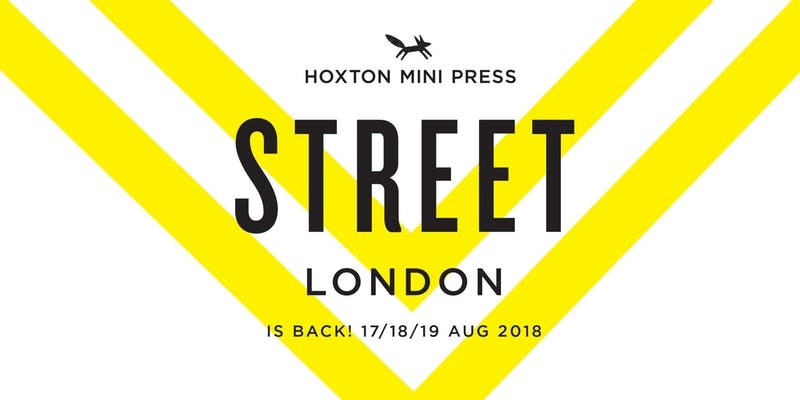 Run by Hoxton Mini Press, an independent, award-winning publisher specialising in photography books about London, this is an opportunity to engage with a passionate group of photographers from around the world in discussions, workshops, and, of course, over food and drinks from companies equally passionate about their East London roots.. Get tickets! Next Yardie: THIS IS NOT YOUR NORMAL TRIP TO THE CINEMA, THIS IS MASSIVE! !